Black tea is one of the most widely consumed teas. This tea is prepared from the leaves of the shrub Camellia sinensis and is more oxidized than oolong, green and white teas. 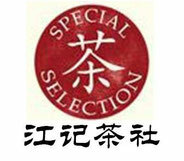 Thus, it generally has a stronger flavour than other varieties of tea. The method of black tea production makes it different from other varieties of tea. After being plucked, the tea leaves are set out to be withered in order to release the moisture from them. When they lose maximum amount of moisture, the leaves are rolled either manually or with the help of machines through exposure to high temperature. Once the leaves are oxidized fully, they are sorted according to their size. The name of black tea can be attributed to the darkness of the tea’s liquor. However, technically it is dark amber or orange in colour. Hence, the Chinese referred to it as red tea. The caffeine content in any tea is often a cause of concern. As far as black tea is concerned, one cup of tea has about half the amount of caffeine found in a cup of coffee. Black tea is a good option to form part of your diet because of its several health benefits, most of which can be attributed to its favorable nutritional profile. Due to increased oxidation, black tea is more flavourful and caffeine laden than its other counterparts. Moreover, the flavour of black tea can be retained for a much longer time than other teas. The black tea benefits for health are given below. 1. Cardiovascular Benefits: Research has proved that consumption of black tea reduces the propensity of cardiovascular problems. The antioxidants such as flavonoids present in black tea prevent the oxidation of LDL cholesterol. It prevents the damage to blood stream and artery walls and lowers the risk of heart disease. In fact, consumption of black tea has been found to reverse a coronary artery disease called endothelial vasomotor dysfunction. This dysfunction also leads to other coronary diseases. Black tea flavonoids are effective in improving coronary vasodilation and reducing blood clots. Polyphenols and manganese present in black tea reduce the risk of coronary heart disease by helping cardiac muscle function. 2. Cancer Prevention: The antioxidants called polyphenols found in black tea help in preventing the formation of potential carcinogens in the body, resulting in prevention of certain cancers like ovarian, lung, prostrate, colourectal and bladder cancers. Studies have revealed that black tea is effective in preventing stomach, prostate and breast cancer. Black tea contains a compound called TF-2 which is responsible for causing apoptosis (programmed death of cancer cells) while the normal cells remain unaffected. Additionally, black tea can also significantly reduce the risk of oral cancer in those who smoke cigarettes or use other tobacco products. Black tea also prevents cancer by inhibiting the formation and growth of malignant tumours. 3. Eliminates Free Radicals: Free radicals in the body can cause various cell damages such as blood clot formation, cancer and atherosclerosis. Consumption of unhealthy food increases the number of free radicals in your body. The antioxidants present in black tea remove these harmful free radicals, thus protecting the body from diseases such as Alzheimer’s and heart diseases. Black tea with lemon is a good choice to make for this action. 4. Boosts the Immune System: A strong immune system is necessary for fighting bacteria and viruses that can cause illnesses. Black tea contains substances called ‘tannins’ which have the ability to fight viruses such as influenza, dysentery, hepatitis, colds and flu. One such tannin called ‘catechin’ helps in suppressing tumours. The alkylamine antigens in black tea boost immune response. Drinking 3 to 4 cups of black tea each day helps in lowering inflammation and eliminates harmful pathogen. 5. 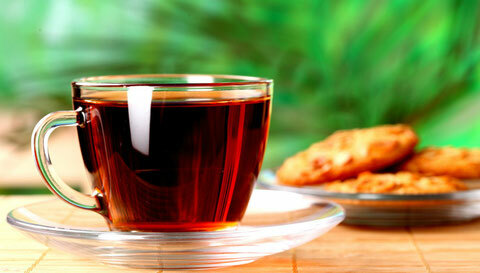 Oral Health: The catechin antioxidants contained in black tea help in the reduction of oral cancers. Polyphenols and tannin act as antibiotics, thus inhibiting bacteria that cause tooth decay. Black tea contains fluoride which fights bad breath and prevents tooth decay by eradicating harmful bacteria from oral cavity. A daily dose of two cups black tea provides around 1.5 mg fluorides. 6. Stimulates the Brain and Nervous System: Black tea contains lower levels of caffeine than coffee. The low amounts of caffeine promote blood flow in the brain without stimulating the heart and improve mental alertness and concentration. The amino acid L-theanine found in black tea can help you relax and concentrate fully on tasks. Consumption of four cups of black tea daily for one month has been found to reduce the levels of stress hormone cortisol. The caffeine in black tea boosts your memory and studies have suggested that consumption of black tea on a regular basis protects against Parkinson’s disease. 7. Benefits the Digestive Tract: The tannins in black tea are beneficial for digestion. These tannins help combat gastric and intestinal illnesses by having a therapeutic effect. Besides, they exercise an anti-diarrheal effect and help in decreasing intestinal activity. The polyphenols help in lowering intestinal inflammation suffered by patients of irritable bowel syndrome. 8. Healthy Bones and Connective Tissue: The powerful phytochemicals in black tea help in strengthening the bones and connective tissue. In fact, research has proved that black tea drinkers have comparatively healthier bones. 9. More Energy: Due to caffeine, black tea is considered as an energizing drink which increases efficiency. Caffeine, when taken in moderation, acts as a stimulant by increasing brain function and alertness. In fact, the stimulating effect of caffeine in black tea is more than that of coffee and cola. Black tea has another compound called ‘theophylline’ which stimulates the respiratory system, heart and kidneys. Thus, these compounds help in maintaining a healthy cardiovascular system. 10. Aids in Weight Loss: Being ultra-low in sodium, fat and calories, black tea is highly beneficial for people who want to lose weight and helps in maintaining a healthy weight. Thus, it acts as an effective substitute for unhealthy soda drinks by preventing the intake of weight-gain causing calories. Beverages containing higher amounts of fat can cause lethal conditions and diseases. Black tea also boosts the metabolic activity and thus, aids in weight loss. 11. Lowers Cholesterol: Black tea is effective in decreasing your level of triglycerides. It can reduce your LDL or bad cholesterol, thus reducing the risk of heart disease. Drinking several cups of black tea improves the functioning of your arteries and does not allow cholesterol to build up inside them. 12. Other Benefits: The antioxidants catechins strengthen the blood vessels and tannin increases the resistance of the body against various infections. In addition, black tea inhibits allergic responses, retards tumor growth and can even delay the onset of diabetes. In addition to its various health benefits, black tea is also considered good for your skin. Black tea is rich in vitamins B2, C and E; minerals such as magnesium, potassium and zinc and some essential polyphenols and tannin. Thus, its nutritional value makes it beneficial for skin in many ways. 13. Due to its high caffeine content, drinking black tea can kill oral viruses and thus, help in preventing skin infections and keeping your skin blemish free. 14. Placing moist tea bags under your eyes helps in reducing puffiness. 15. 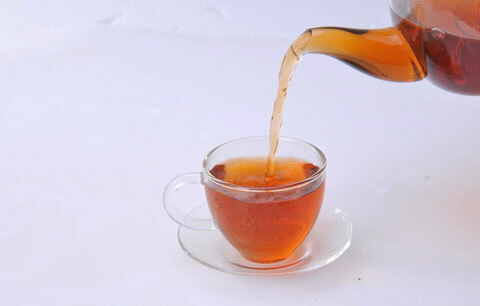 Black tea also helps in reducing mimic wrinkles and preventing pre-mature ageing and pimples. Thus, those suffering from these skin problems can try having one or two cups of black tea daily for beneficial results. 16. The antioxidants present in black tea provide protection against skin cancer. 17. The extract of black tea acts as a sun blocking agent when applied on skin. 18. 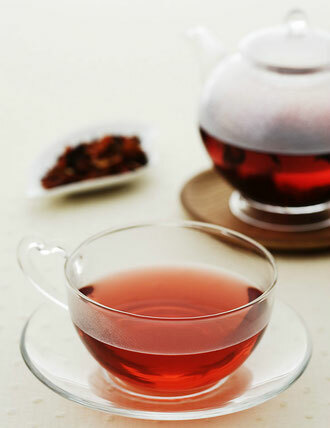 Polyphenols and tannins present in black tea accelerate the process of skin regeneration. 19. Black tea contributes to glowing and blemish-free skin. Tannins protect your skin from the harmful impact of environment, improve blood circulation and fight bacteria in your body, thus providing protection against skin diseases. 20. Caffeine present in black tea helps in decreasing DHT (Dihydrotestosterone), a hormone found in the scalp which causes hair loss. Thus, black tea helps in increasing hair thickness and lowering hair loss. 21. Another benefit of caffeine is that it stimulates hair growth when used once in a month. (Excess usage of caffeine should be avoided as it may stunt growth). 22. Using black tea rinses as part of your hair care regimen adds shine, luster and natural darkness to your hair because of its dark hue. For this purpose, add 3 bags of tea to 6 cups of boiling water. After keeping this mix for an hour at room temperature, pour it on your head and wrap your hair in a towel. Wash your hair normally after an hour or two. 23. Black tea acts as a natural dyeing agent and is suitable for women who have dark black or brown hair and want to get rid of grey hair or fading hair dyes. It darkens your hair besides adding shine and bringing out natural highlights. Great article , Thank you very much and keep posting.